Your child’s birthday is a fun and exciting event. Keep in mind his or her interests, then make it a success by following these great tips. It’s a magical time of year. Your child has likely been looking forward to this for weeks, if not months, counting down the sleeps until the special day. Yes — it’s his or her birthday! How are you going to celebrate this exciting occasion? Read ahead for some tips on keeping the magic alive (and the stress away) on one of your child’s favourite days of the year. Budgets aren’t usually a favourite topic of conversation, but once you decide on how much you want to spend, it will be easier for the rest of the details to fall into place. 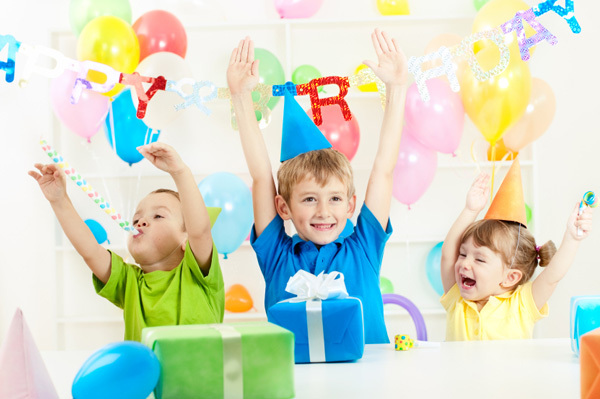 Great birthday parties can be had on any budget, so spend what you want and don’t stress out if you need to pull in the reins. Your child and the party-goers won’t even notice. What your child can handle. Birthday-party meltdowns aren’t fun for anyone! The logistics. Is it really feasible to have 20 kids in your home? How about managing 15 at a bowling alley? What makes sense? Who comes. Make sure to invite the best pals but don’t invite a child your kid doesn’t know. Now isn’t the time to set up a friendship you think your child should have. The family conundrum. Close family members should be invited, but if your family obligations are taking over the guest list, you might want to consider inviting them to celebrate with your child at a dinner or barbecue on another day. Structured games and activities are fun for kids, but so are the spontaneous ones — just ask any parent who has held a kid’s birthday bash at home. A good rule of thumb is to plan a few games or activities to break the ice and engage the children, but then let the flow of the party guide you. Too many games or activities can be tiresome and time-consuming, so let the kids have some free play time, as well. If the party mood starts to dwindle, a quick treasure hunt, obstacle course or freeze dance will usually help get the mood going again. For a kid, a party means great food and treats. The cake is usually a highlight, so make it stand out and keep on track with the theme of the party (if you have one). Or, make a cupcake tree — or let the kids get involved, and have sundae bar. Keep the main course simple and easy. Chicken strips, burgers, tacos, pizza, mini subs and hot dogs will all be a hit. To prevent sugar highs and lows, try to balance the sugary juices and pop by having water bottles ready to go and offer veggie and dip trays, fruit kabobs with vanilla yogurt and homemade party mix as a healthier snack option. A party isn’t complete without lots of decorations, so add to the festive mood with colourful streamers, balloons, birthday plates and cups and theme decorations of all kinds. Make sure to play your child’s favourite music to really get the party going.